The legendary Swiss Army Knife gets a 21st century upgrade. 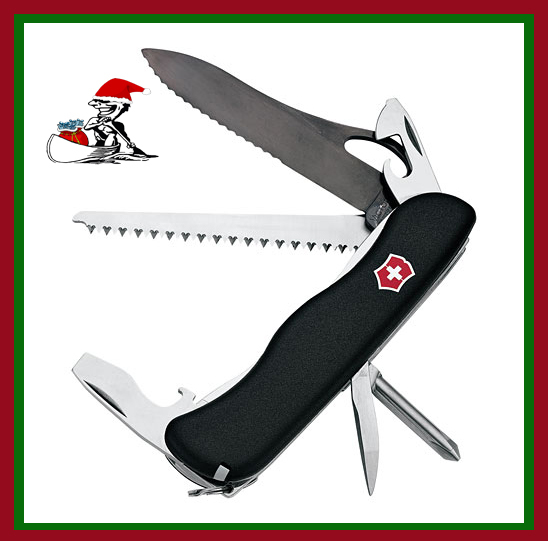 This is the perfect gift for anyone that loves Swiss Army knives. It has a 3 inch locking blade, which cuts through anything, and is designed to be opened with one hand. The knife also comes with a can opener with a small screwdriver, a bottle opener with large locking screwdriver, wire stripper, reamer, phillips screwdriver, tooth pick, tweezers, wood saw and key ring. Three of my favorite components on the Trekker are the wood saw, the 3 inch blade, and the phillips screwdriver. The wood saw actually works great and cuts through wood 2 inches or less without any problems. It’s very sharp, so be careful! The phillips screwdriver is just plain handy to have around the house for all those screws that need to be tightened. The 3 inch blade is sharp, strong, and locking. 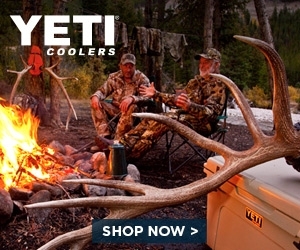 It’s even great for using as a cooking knife in camp. Spreads peanut butter and cuts your bagel with perfection. A great stocking stuffer for your favorite trekker.